Eager to replace equipment worn out by the Depression and WWII traffic, railroads big and small began updating their postwar boxcar fleets with cars based on the American Association of Railroads (AAR) standard design introduced in 1948. Although similar to the 1944 standard, notable changes included the addition of a rectangular rib at the top of each end, and many buyers opted for diagonal panel roofs. Introduced as railroads also began freshening their image, these cars wore bold, colorful paint and lettering schemes over their long careers, with some still rolling strong into the 1980s! 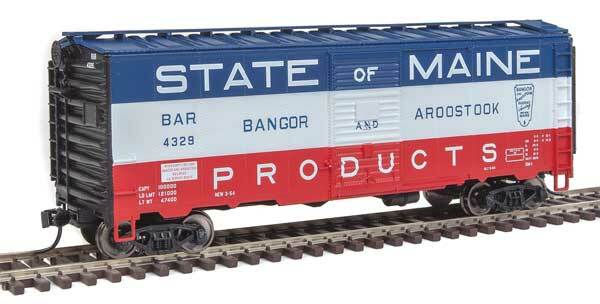 Copy this 40' AAR 1948 Boxcar to your MY ROLLING STOCK roster.